We have some ground to cover since last time. I didn’t get too far, and there’s not a lot of plot, but, well, I did manage another recording or two. One’s awesome, the other is, of course, choppy. This is what I hear every time I fire up the game. I’m thinking of making it a notifier on my phone. Now let’s wait on the elevator. Huh? A warning buzzer goes off. 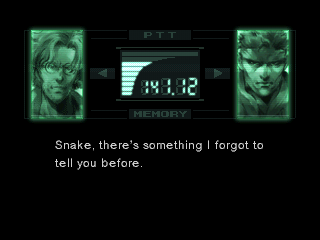 Otacon : Snake, there’s something I forgot to tell you before. 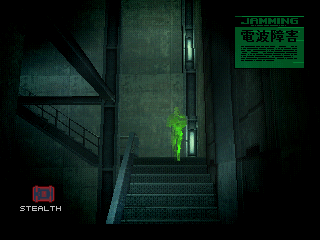 Otacon : There were five stealth camouflage prototypes in my lab. 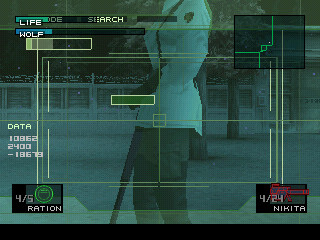 Otacon : If you take out the one I’m wearing, that leaves four. Hey. This isn’t first grade math class. 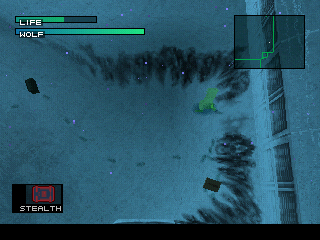 Otacon : The four suits were missing. 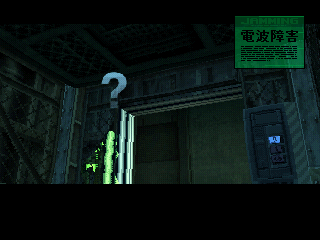 Otacon : Also…about the elevator that I checked out… It’s really strange. It was like someone was intentionally holding it. When you were riding on it, did the weight limit warning go off? 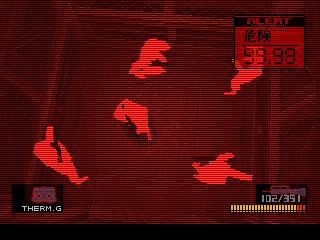 Otacon : That’s another thing that bothered me about it… The warning went off and I know I couldn’t be over the limit. Otacon : About 135. But that elevator had a weight limit of 650 pounds. 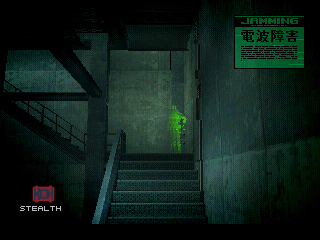 Otacon : L…Look out, Snake! The guys who stole my stealth prototypes are in there with you!!! 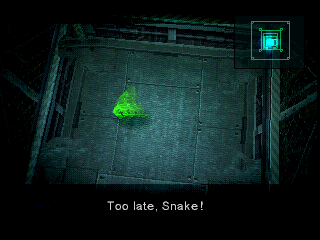 Guard : Too late, Snake! Now die! 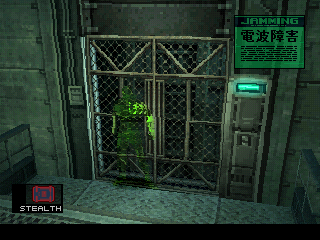 That was not a nice closeup of Otacon. Also, where are the bad guys. Wait. I know. 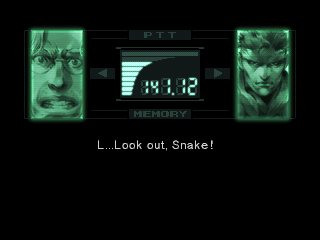 Otacon : Snake!! Are you okay!? Otacon! Were there any other stealth prototypes? 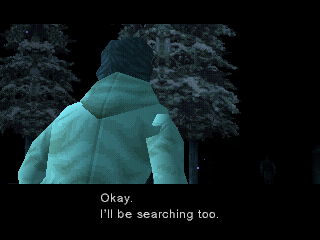 Otacon : No. There were only five. 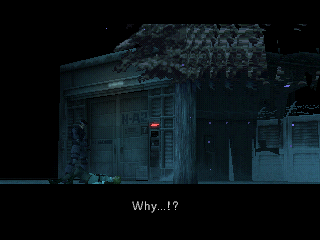 Otacon : What are you talking about? 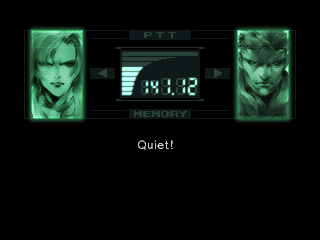 Otacon : Yes it’s her! …It’s definitely her! 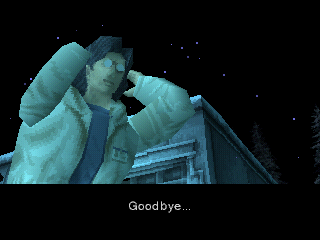 Otacon… You sound like you’re happy. Otacon : No I’m not. 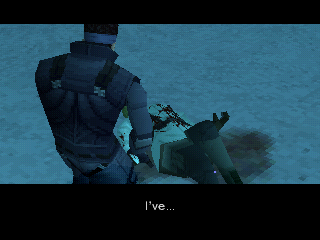 Otacon : Snake… please don’t kill her! Listen to me, kid. She’s a merciless killer. 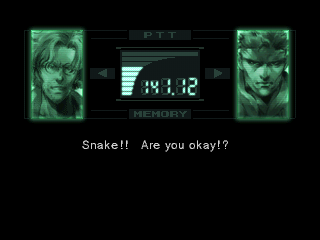 “Are you okay, Snake! ?” No, you goddamned anime-obsessed freak, I just got shot. I’m not okay! Wolf : I can see you perfectly from here. I told you… I’d never quit the hunt. Now you’re mine. 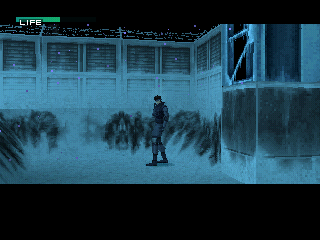 Otacon : Wolf! No, you can’t! Wolf : Don’t get between a wolf and its prey! You’re pretty good if you can hit me in this storm. Wolf : You see? Women naturally make better soldiers. 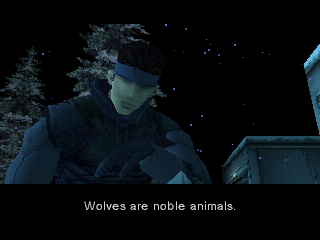 Otacon : Wolf! Don’t do this!! 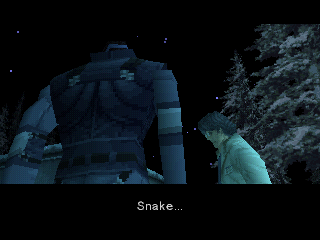 Wolf : Snake, I’m near. Can’t you sense me near you? It’s a mistake for a sniper to reveal her location. Wolf : Is that right? Well I’m going to send you a love letter, my dear. Do you know what that is? It’s a bullet straight from my gun to your heart. 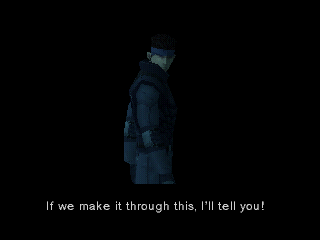 Dude, Otacon just.. Wait. I’ll have Wolf say it. Wolf : Quiet! Don’t get in our way! Well, on a scale of 1 to 10 I’m about a fucked. I can’t snipe. This is a safe spot. 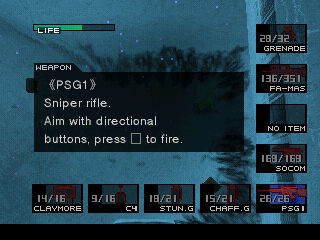 Again, a sniper rifle. It’s the only long range weapon I have. Except for… Wait. Hells yeah. This is the cheap and fast way. 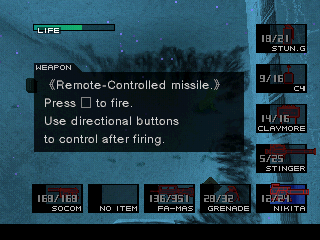 Snake stays in his little spot, doesn’t get hit, and Wolf gets pelted with missiles. Missing from this picture: Cigarettes. 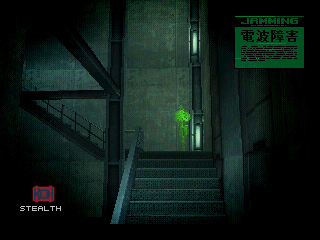 This is where Otacon would call her and ask if she was okay. Saladin? 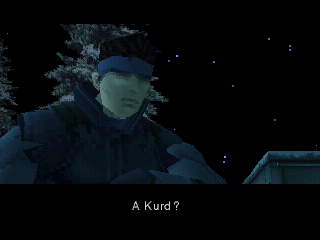 …You mean Big Boss? 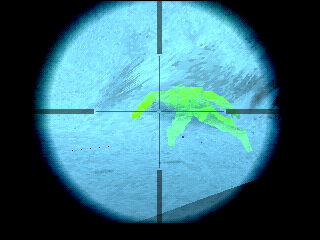 Wolf : I became a sniper… hidden, watching everything through a rifle’s scope. Now I could see war, not from the inside, but from the outside, …as an observer… I watched the brutality… the stupidity of mankind through the scope of my rifle. I joined this group of revolutionaries… to take my revenge on the world. But… I have shamed myself and my people. I am no longer the wolf I was born to be… In the name of vengeance, I sold my body and my soul. Now…I am nothing more than a dog. This is a really sad scene, especially when paired with the music that plays. Wolves are noble animals. They’re not like dogs. In Yupik, the word for wolf is “Kegluneq”, and the Aleuts revere them as honorable cousins. They call mercenaries like us “Dogs of War”. It’s true, we’re all for sale at some price or another. But you’re different. …untamed… solitary. You’re no dog… You’re a wolf. Wolf : Who are you? 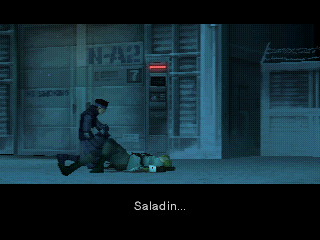 …Are you Saladin? Wolf… you spared Meryl’s life. Wolf : She… she was never my real target… I don’t kill for sport. Rest easy. You’ll die as the proud wolf you are. Wolf : I finally understand. I wasn’t waiting to kill people… I was waiting for someone to kill me. A man like you… You’re a hero. Please… set me free. She spared Meryl, so that means that Meryl’s still alive. Wolf : My gun… give it to me… She’s part of me. Gah, it just keeps getting sadder. Wolf : Everyone’s here now. Okay, hero, set me free. 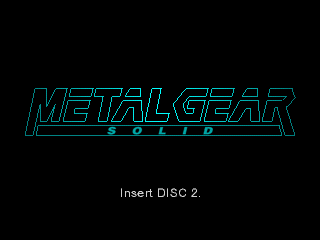 Otacon : Snake, you said that love could bloom on a battlefield… But I couldn’t save her. What are you doing? Returning it to it’s owner. I don’t need a handkerchief. I don’t have any more tears to shed. 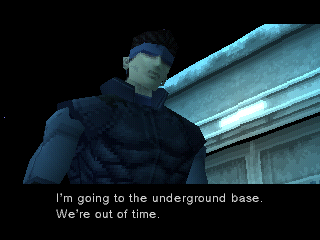 I’m going to the underground base. We’re out of time. You’ll have to protect yourself now. Don’t trust anyone. 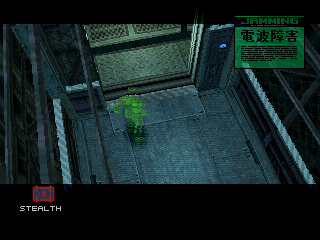 If I can’t stop Metal Gear, this whole place will probably be bombed to hell. Now, it’s time to focus on the mission: Blowing a walking battle tank straight to hell. 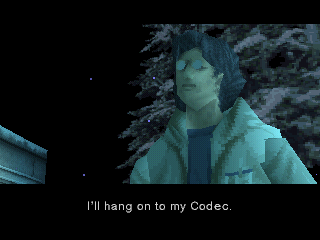 Otacon : I’ll hang onto my Codec. I wanna keep helping. You can leave any time. Get a headstart… a headstart on your new life. 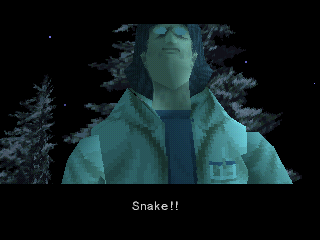 Otacon : Snake!! What was she fighting for? What am I fighting for!? What are you fighting for!? If we make it through this, I’ll tell you. 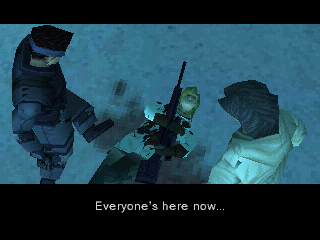 Otacon : Okay. I’ll be searching too.